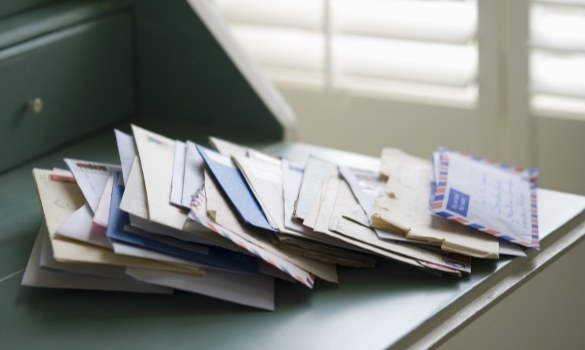 Direct mail marketing strategies are old-fashioned. Yet still, they offer some of the most effective advertising strategies to promote new businesses. Promoting new small businesses requires integrating your new company into the neighborhood and surrounding area. Marketing mailers offer you the best way to establish brand awareness for your new small business. Learn how to design effective marketing mailers in the post below. That way, your new business generate brand awareness for as little marketing capital as possible. Offer something useful with your marketing mailers. Otherwise, mail recipients will definitely throw out your marketing materials. When you provide useful things alongside your advertising mailers, your mail recipients are far less likely to toss them out. Include branded to-do lists or other branded notepads or address books. When you provide marketing mail recipients with something cheap that they will use in the day-to-day life, they will better remember your brand. That is the whole point of marketing mailers, so be sure to use this tip when implementing these advertising strategies. Do not worry too much about marketing mailers design. You do not need to create the most eye-catching, visually groundbreaking marketing designs just for direct mail marketing materials. It would only be a waste of marketing resources to do so. Instead, focus on making your marketing mailer designs as simple and to-the-point as possible. By creating simple marketing designs for your direct mail materials, you will utilize a marketing and branding strategy that is effective without breaking the bank. Look for inspiration from other marketing materials. Direct mailers are always finding their way into your personal mailbox at home. Collect a whole bunch of them. Then, take note of the common characteristics shared by all the direct mail marketing attempts you receive. Note what you like about the mailers and what you do not like. Looking to other direct mail marketing strategies will help you determine the best practices to design your own marketing mailer. Make sure to do so. Understand the medium of marketing mailers and direct mail marketing in general. These types of marketing strategies are much more personal types of business communications according to 70% of American consumers, just like social media f0r business. Your direct mail marketing tactics should reflect the personal nature of these communications. Personalize communications whenever possible. Use less formal language in your mailers. Use your knowledge of the medium to reach consumer audiences in new and exciting ways for your small business. Of course, your marketing mailer design should not be blank and boring. But, many marketing professionals will try to fill empty space with more words. Rather than filling every inch of the mailer with information, stick to the essentials. This will allow potential customers to quickly read and understand the most important details. When designing your mailer, have a clear idea of what information you want potential customers to know about most, building brand awareness and sales. Find other businesses to partner with. Then, you can send marketing mailers chock full of related discounts and offers. This is the best way to entice mail recipients to actually open your marketing materials. It is also a great way to establish relationships with other small businesses in your area. Those business relationships can have a huge impact on the overall success and performance of your business long-term. Form business relationships to partner with other small businesses in sending out a group marketing mailer chock full of shopper discounts and coupons. Your direct mail marketing campaigns will perform much better if you do. Two big advantages of using professional marketing companies are one, the expertise in designing your material, and two, optimizing your mailing list. For example, Curtis 1000, a direct marketing agency, will help you design material that meets USPS guidelines for size and weight in order to qualify for the best postage rate, and will use programs such as NCOA or CASS Processing to make sure your mailing lists have the locations of moved businesses and addresses that match the USPS National Address file. They also use programs such as CreatiFont to create personalized messaging for new customers, members, special offers, event invitations, etc. If you want to create direct mailers for your marketing campaigns, it can really help generate a buzz for your small business, even with millennials. Establishing brand awareness is usually a struggle for small businesses. But with direct mail marketing tactics, it is not quite as difficult to build brand awareness. Just use the direct mail marketing tips and tricks detailed above. These direct mail marketing strategies will help you reach new height of success with your small business.